Welcome to the 1st in a 4 part series where we're going to dive into the Precision Movement 4-Step Process to Eliminate Pain and Improve Mobility for Movement Longevity. Way too long of a title but it doesn't leave you wondering what the process is designed for. While it's a 4-Step Process, it's not completely linear as they will overlap when it's put into action in the programs I design, however, the goal is to progress from Step 1 to 4. Structural limitations are movement restrictions that are NOT a function of the neuromuscular system that will limit your flexibility. Flexibility is passive i.e. your ability to achieve a range without muscular effort (gravity, someone lifting your leg), while mobility is active i.e. your ability to achieve a range with your own muscular effort (lifting your leg on your own). Mobility can never be greater than flexibility so if your flexibility is limited, by definition your mobility will be limited. Thus, it's logical to first work on flexibility before trying to improve your mobility. The types of things that will limit your flexibility - in order from most to least common - include limitations due to the joint capsule or ligaments, tissue adhesions between/within muscle and fascia (often the result of injury) and the resulting scar tissue, bone-on-bone which may be a result of genetics or adaptation and even nerves can limit your range. Structural limitations must be dealt with first, because greater range of control is built neuromuscularly and if structural limitations are present, the neuromuscular system will not overcome them. Today, we're going to focus on muscle/fascia (in Step 2 you'll how to help fix the joint capsule). Imagine a door that only opens to 45° because there’s a big rock on the ground blocking it from opening any further. You can WD-40 the hinges all you want but until you move that rock, you’re not opening the door any further. Perfect analogy for why addressing structural limitations is Step 1. One of the common techniques used is foam rolling aka self-myofascial release. When I first learned about foam rolling over a decade ago, I did it daily for a month or so and experienced a significant reduction in my general feeling of tightness, and noticeably softer muscles when I stuck a finger into them. After that, the benefits plateaued and I find if I keep up with 2 or so sessions a week, I maintain. Since first learning about foam rolling, I've added an active component based on my experience working with the popular Active Release Technique ubiquitous in the worlds of physiotherapy and chiropractic, and how effective they are at dealing with adhesions. Active Self-Myofascial Release (ASMR) involves an active contraction of the muscles that are opposite (antagonists) to those being rolled or massaged (agonists). By actively contracting the antagonists, we’re eliciting a neuromuscular reflex called reciprocal inhibition. Reciprocal inhibition is a phenomenon where the muscle group opposite to the one being contracted reflexively relaxes. So if we’re foam rolling the quads, to get the best results possible requires us to keep those quads relaxed. By flexing the knee to activate the hamstrings while we’re rolling, we utilize reciprocal inhibition to automatically relax the quads, allowing us to go deeper into the muscle. I first shared ASRM back in 2013 when I launched the Hip Flexibility Solution and it's been a mainstay in my programs since. Comparison of a foam rolling session with active joint motion and without joint motion: A randomized controlled trial. "A short session of foam rolling with active joint motion appears to have a greater effect on passive joint ROM and PPT than rolling without motion. These observed changes may be influenced by the agonistic muscle activity during active motion. This activity may modulate activity of the antagonist muscle through reciprocal inhibition and other neural pathways." So, it seems like the hypothesis I had 5 years ago has been held up in the research. SIDE NOTE: Yes, in sharing this I am tooting my own horn but I’m also doing so to remind you of the old adage that coaches in the field are often years ahead of their counterparts in research because a coach’s success depends solely upon the results they achieve. We don’t have the luxury of waiting for grants to fund our research - we need to do it live with our clients and athletes and as quickly as possible to give ourselves and our clients the best chance of success. Otherwise, we’re out of business. In addition to achieving better results via reciprocal inhibition, conscious and specific activation of certain muscles with the simultaneous relaxation of others while applying self-myofascial release is a neuromuscular challenge in and of itself, helping us develop new neurons, keeping our brains plastic and youthful. Finally, there’s some emerging research coming out that ascribes some of the benefits of massage and similar therapies to stimulation of specific sensory receptors (ruffini corpuscles, pacinian corpuscules, etc) that respond to different types of touch and pressure i.e. level of firmness, a poke or a stroke, etc. 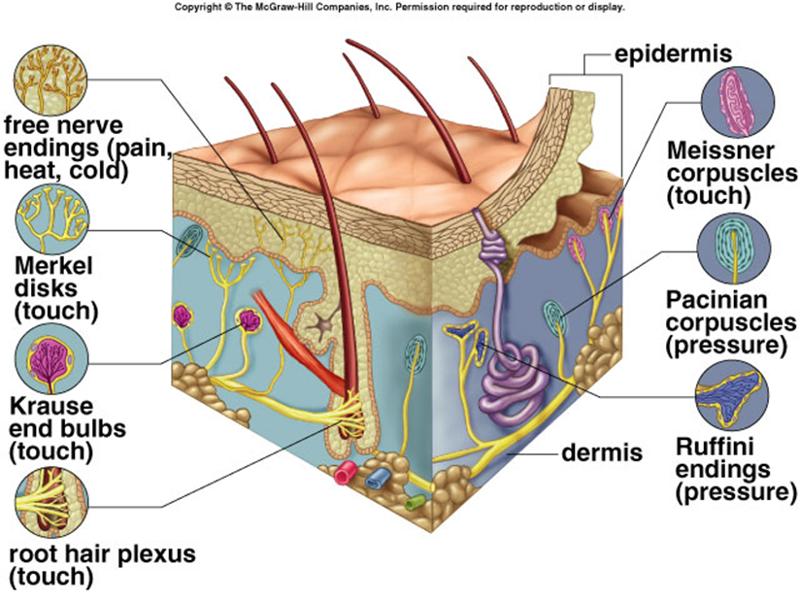 I'm not educated on what specific types of pressure affect what receptors and the benefits of doing so, but at the end of the day, being touched and squished is afferent (afferent nerve fibers arrive at the brain; efferent fibers exit the brain) information and this sensory information is processed by the brain in some way, so at the very least it’s keeping these pathways alive (use it or lose it). Crosswords are great for the aging brain but I’d wager the total benefits of mental challenges like ASMR that connect the mind and body are far greater. Perform for 1-2 minutes on each muscle per side and say bye-bye to muscular and/or fascial restrictions. In Part 2 of this series, we're going to dive into Step 2 that I now call "Dissociate to Activate", which will show you how to simultaneously break commonly associated Movement and/or Activation Patterns (M/APs) while activating muscles that may have gotten lazy and weak. NOTE: this is Part 1 in a 4-Part series.